With the multi-billion-dollar, four-month enroll-a-thon for Florida’s Statewide Medicaid Managed Care program now complete, totals show WellCare Health Plans still on top. The Tampa company’s Staywell plan now has more than 600,000 Florida Medicaid members. That’s 23 percent of the state’s roughly 3.3 million residents with Medicaid coverage, according to calculations by Citigroup Global Markets’ analyst Carl McDonald. Coming in second is Sunshine Health Plan, a subsidiary of St. Louis-based Centene Corp. With 372,000 people enrolled, it holds 15 percent of the Florida Medicaid market. “We expected to double in size,” so the success is no surprise, said Sunshine spokeswoman Beth Nunnally. She predicted the company will have achieved that when the long-term-care enrollment is counted. “We worked extremely hard to build a program that was beneficial to the state and to members and that offered a robust network of providers,” she said. Sunshine’s enrollment success really started with its winning the geographic competition. 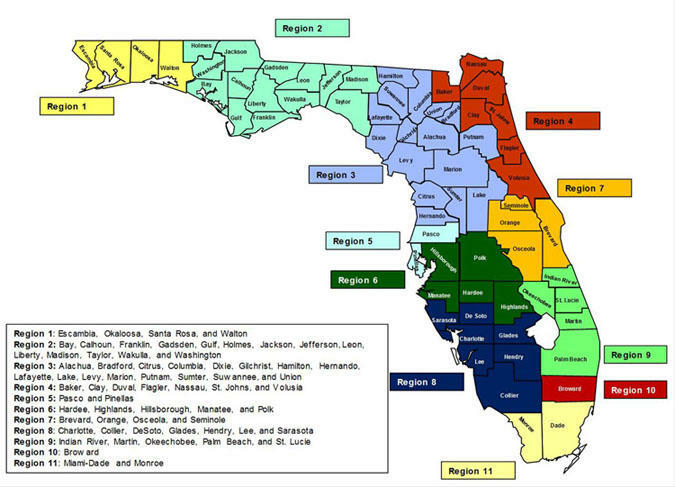 When Florida’s Agency for Health Care Administration announced it was shifting nearly all its Medicaid recipients to managed care plans, it chose only a limited number of plans for each of the state’s 11 regions, based on bid and quality. Sunshine won the right to compete in nine of the 11 for the general Managed Medical Assistance (MMA) and in 10 regions for the long-term-care population. Third is AmeriGroup of Florida, a subsidiary of WellPoint Health Plans, which is based in Indianapolis. With almost 300,000 Florida Medicaid members, the company holds 11 percent of the state market. Next, in order, are: Prestige Health Choice, 278,000 enrolled; Humana, 247,000, and UnitedHealth with 231,000. Prestige holds a 10 percent market share, while Humana and United are tied at 9 percent, according to the Citigroup analysis. Amerigroup spokeswoman Denise Malecki said as its plan was able to enroll in only four regions, it did exceedingly well to add 117,000 members, an increase of 65 percent. Justin Senior, Florida Medicaid director, said he’s happy to see six plans with substantial enrollment. All the plans are taking a financial risk, accepting a set monthly payment from the state for each Medicaid patient, a practice called “capitation.” The amount of the capitation payment depends on the health of the enrollee, as well as age and geography. Ten plans made it into the five-figure column, led by Molina Healthcare, with 90,000 enrollees. Interestingly, no plans showed enrollment in the 100,000-plus range; there’s a yawning gap until the big six, according to the analysis. It’s important to note that while Florida Medicaid charts show 3.3 million recipients, the AHCA enrollment figures available on the agency website show totals closer to 2.7 million, since that's how many recipients are in the part of the program involved in the rollout that just ended in August. Those in long-term-care programs were enrolled first, beginning last fall. The totals also omit children enrolled in Florida's Healthy Kids Program, often called KidCare. They are often included in Medicaid counts because most of the children are from low-income families; Healthy Kids operates on a sliding scale. Around half of the Medicaid recipients who were part of the recent rollout were already enrolled in managed-care plans -- or similar non-profit Provider Service Networks -- before the state decided to convert the entire program to capitation. The idea, created during the administration of Gov. Jeb Bush, began with a five-county pilot program under a waiver of Medicaid rules by the federal government. At the end of the five years, an evaluation led by University of Florida Professor Paul Duncan concluded that the pilot did save the state money and made budgeting more predictable. The report found insufficient evidence to say whether the savings were created by efficiencies and better preventive care – as the plans said -- or by making it more difficult for patients to get permission for treatment, as some advocates said. He said that under traditional fee-for-service Medicaid, it was often difficult to find any doctors who would treat Medicaid patients because the state’s pay was so low. Since HMOs can’t get Medicaid contracts unless they have adequate provider networks, Myers said, they have a powerful incentive to get doctors signed up. --Health News Florida is part of WUSF Public Media. Contact Editor Carol Gentry at 813-974-8629 (desk) or e-mail at cgentry@wusf.org. For more health news, visit HealthNewsFlorida.org. The federal government has granted a three-year extension to the Medicaid Managed Care Program in Florida, which requires that almost all Florida Medicaid beneficiaries enroll in managed-care plans, the News Service of Florida reports. The initial shift towards a statewide managed-care system in Medicaid was approved by lawmakers in 2011 and as of this month, nearly 3 million people are set to be enrolled in the program. Broward County Commissioners are considering a $1.29 million incentive package for an unnamed health insurance company wanting to hire 265 employees in Sunrise. WellCare Health Plans Inc.'s acting president for Florida has been chosen as the official president of the company for the state. Gregg MacDonald, who has been acting president since April 4, has been WellCare's chief operating officer for Florida since May 2007, according to a news release. MacDonald will be in charge of WellCare’s Medicaid and Medicare Advantage businesses across Florida. The health insurer has its headquarters in Tampa.